There are going to be some changes in our shipping prices soon, and we figured we should let you know why. 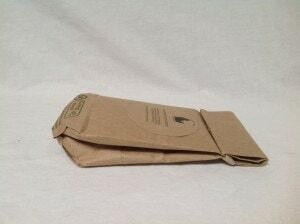 Until recently, we had used Caremail padded envelopes for almost all of our tea shipping needs. We approved of what they were made of, and they had some company ethics that made us happy. The Great Holiday Rush of 2014 taught us a lot of things. The lesson that applies to this post was attached to a returned package. The level to which the mailer had been flattened was appalling. When we opened it, this was what the bag of tea looked like. We were fairly shocked that the tea hadn’t exploded out of the bottom of the bag. After recovering from our general horror, we decided we needed to find a new packaging solution. Unfortunately, most of the boxes from USPS are bad sizes or shapes for our teas. Most of them are also set to be priority mail automatically. 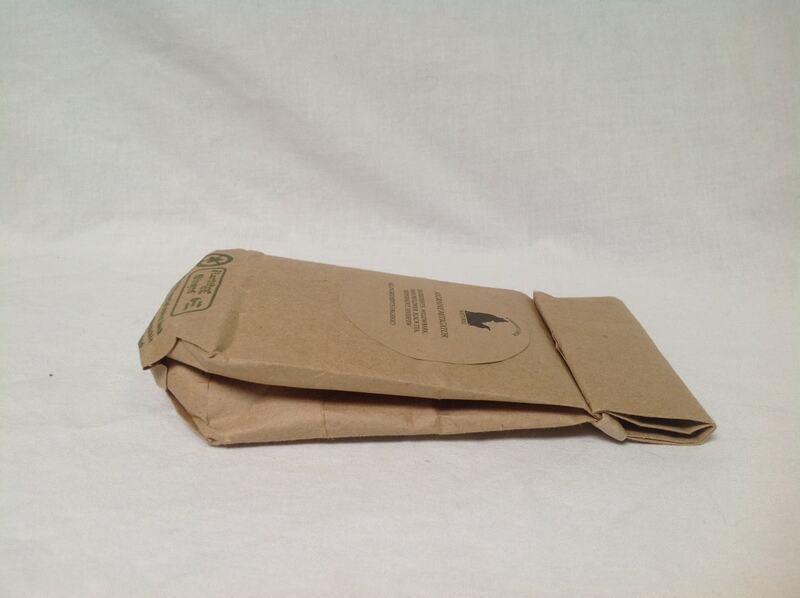 We’d rather not charge that unless we have to, and rewrapping boxes takes a lot of time and also feels wasteful. Thankfully, there had been a post by a lady in one of my Etsy teams talking about eco-friendly packaging, and she’d linked a company which did ecologically friendly custom sized boxes. I’d bookmarked the link as something to look at later, and hadn’t had the time to look. That bag of tea made us look. EcoEnclose is awesome. We were happy, we were impressed, and that was before we actually dealt with their customer service. They are a trifle large for a single bag of tea, but that is becoming a rarer order. 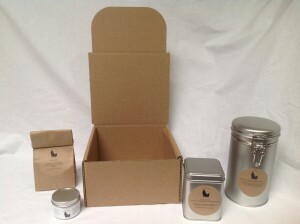 As we are still a small company, we wanted a basic box that would enable us to send at least one of any of the containers we offer. They are very solid, and we’ve already received a review on them from a customer. Apparently the postal service in her area is VERY rough on packages, and our box survived well enough to deliver her latch-tin intact and un-dented. 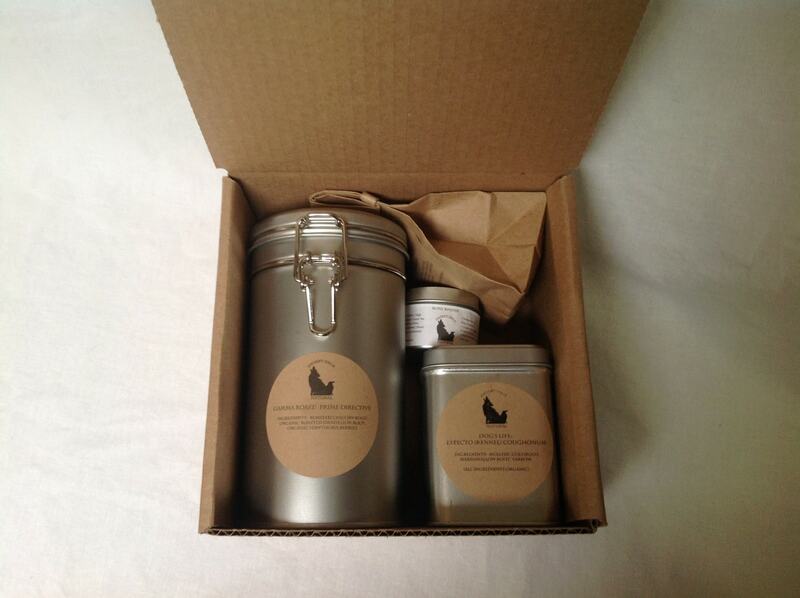 So, we have shifted to a box that will get your teas and cocoas and coffees to you in better condition, and allows us to ship whatever you order with that kind of care. Unfortunately, there is a tradeoff. Almost surprisingly, given how much the Caremail padded envelopes weighed, our new boxes are heavier. Enough so that we are going to have to change our shipping tiers on Etsy, and change the amount of assumed weight for shipping in our personal shop. It isn’t going to be a huge change, but there will be an increase. For this we apologize, but we hope you understand our reasons. This entry was posted in Ramblings and tagged Boxes, Green Ethics, Recycle Party, Shipping by DesertSage. Bookmark the permalink.